Gorgeous corner lot ranch in Mill Wood Subdivision within walking distance to Laurel Park. Walking and biking trails throughout subdivision. Great lot with manicured landscaping, mature trees and patio with deck. 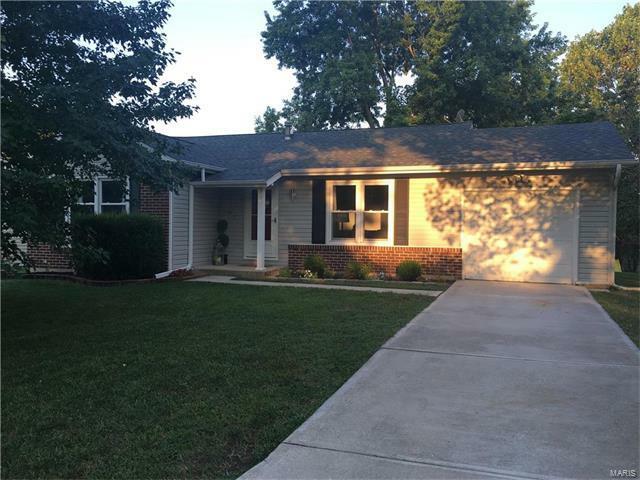 Spacious family room and newly updated kitchen with new Stainless Steel appliances. Three bedrooms and one full bathroom on the main level. Finished lower level includes laundry, full bathroom, family room, bonus bedroom both newly carpeted. Roof is only 4 1/2 years old, HVAC in 2014, new main electric panel box in fall 2014, electric garage door opener installed fall 2014. This house has been well cared for by non-smokers and ready to move in!